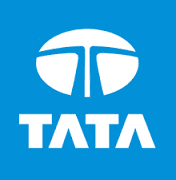 Tata Business Support Services (TBSS) Walkin Recruitment 2017 in Hyderabad – 200 Openings. TBSS Freshers Vacancies in Hyderabad For Associate Non Technical Job Openings. Applying candidates must have good communication and written skills. Interested and eligible candidates can directly attend the walkin interview at below mentioned venue. including voice support in 10 different languages out of our world-class centers at Pune, Hyderabad and Mohali in India & USA centres at Florida and Ohio.